In 2009, it won the name of "the top ten China Management consultancy” in the "Urban and Rural Reform and Innovation Forum and the sixth (2009) China Management Consulting Summit" jointly organized by the CPC Chongqing Municipal Committee, Chongqing Municipal People of Government, China Enterprise Confederation and China Enterprise Directors Association. In 2007, it won the "Award for Excellent management consultancy" in " the Second Chinese Management Conference and Chinese Management Award" jointly organized by the International Management Institute, China Creative Studies Institute, the Chinese high-tech Industrialization Association. 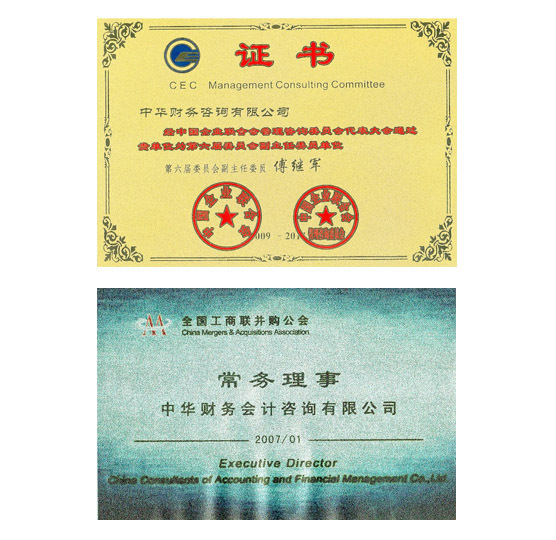 In 2010, the Seventh China enterprise operation and financial strategy Management Summit was jointly held by the China Association of Chief Financial Officers and "Chinese of chief accountant" magazine in the Great Hall of the People, Beijing. CCAFM was honored the excellent prize for Chinese of best finance, value and brand in 2010, and Mr. Fu Jijun, the chairman of CCAFM, won the title of "Financial Strategic Management Expert of the Year 2010"
In 2011, CCAFM was granted "the best teacher of China Management Academy" in the Management Innovation Forum and the awarding ceremony of the fourth "China Management Academy Award" hosted by the China Management Case Joint Center and PKU Business Review, China of top management review publication. 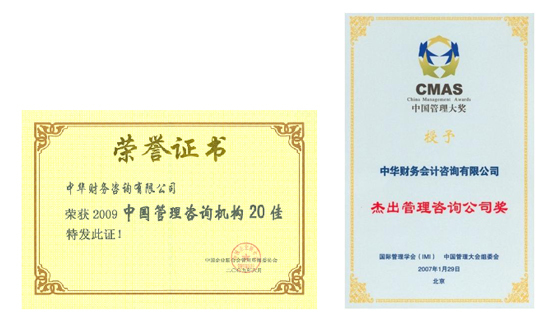 Meanwhile, in the awarding ceremony, the "scenario planning methodology and system construction" made by CCAFM and COSL was awarded Management Academy Award. 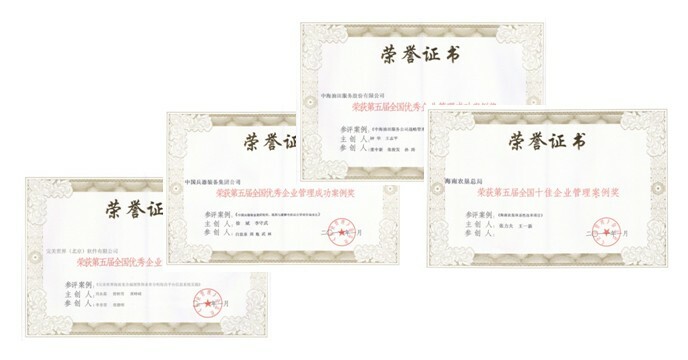 In 2011, in the fifth National Excellent Enterprise Management Success Stories Forum and the National Council meetings hosted by "Business Management" magazine, Hainan Agricultural Reclamation Bureau, China Ordnance Equipment Group Corporation, China Oilfield Services Ltd., and Perfect World Software Co., these four clients of CCAFM were all on the list, of which Hainan Agricultural Reclamation Bureau was selected on the list of the Top Ten Business Management cases, and the other three companies on the list of successful cases of outstanding enterprise management. As the local management consulting firm, CCAFM pays close attention to the dynamic development of international advanced management theory, constantly summarizes the enterprise management consulting case and experience, published a series of books named “China Finance---- a library of Modern Management”, and explore in the international experience and local practice. "CCAFM" regularly releases "CCAFM’s View" to have a deep study of the hot and difficult issues in enterprise management consulting practice, and refines timely its view and method. As the unit member of the vice chairman of China Association of Enterprises Management Consulting Committee, Mr. Fu Jijun,the general manager, was appointed the vice director of the Committee, taking part in the management consulting industry standards making and experience exchanging.